Dropbox boosted its free storage limit from 2GB to 5GB with the introduction of a new digital image offering. The extra storage is part of a new automatic camera upload tool for Dropbox. The PC and Mac utility was in beta until now and automatically uploads photos to a private Camera Uploads in your Dropbox account once you connect a camera, smartphone, tablet or SD card. There’s also a version of the feature incorporated in Dropbox’s Android app. Dropbox had offered the smallest amount of free storage services among its rivals with 2GB. The extra space brings it on the par with Google Drive, Box.net, and SugarSync. 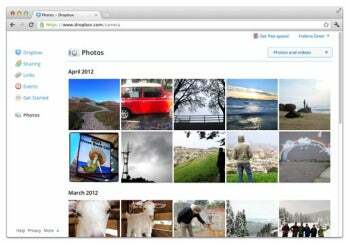 Once your photos are uploaded, Dropbox has a new online Photos page, where you can see large thumbnails grouped by month and hover over them to find the date, or click to see a full-resolution version. As part of an earlier feature introduction, you can also share individual photos with a link, just like any other files in your Dropbox. Here’s the catch with the storage of these photos: your first auto upload will secure 500MB of free Dropbox storage, and as you fill the space up, it will be bumped up to 3GB. 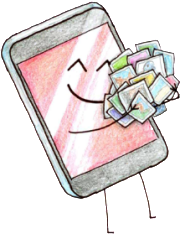 The space you earn is permanent and can be used for the life of your account, but it’s only for the Camera Uploads folder – if you move photos or files from your other Dropbox folders to the Camera Uploads folder, you will not earn free space. Google’s entry in the cloud storage market has sent waves across the industry, as competitors are now fine-tuning their services. Box and Sugar Sync were already offering 5GB of free storage. Microsoft is dialing down its free storage limit from 25GB for SkyDrive to 7GB (there’s a limited extension back to 25GB). We have also seen new storage entrants such as LogMeIn that is slowly opening up its Cubby beta storage service to more users.